Remember to subtract your Thickness from your Back Height or your back cushions will be too tall. Our deluxe chair cushions are comfort and beauty all in one. 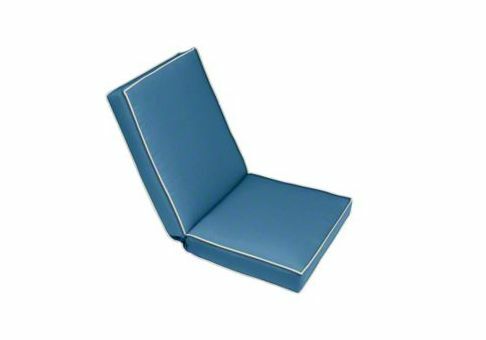 Deluxe seat and back cushion sets are made to fit any unique chair, including patio chairs and indoor chairs. 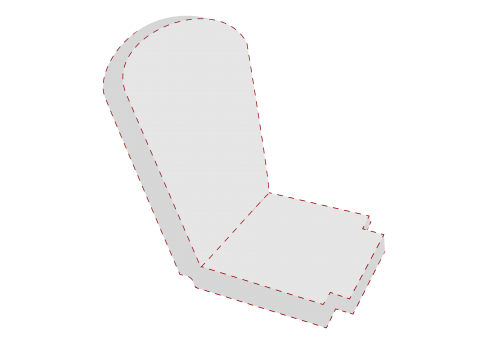 Because your chair is unique, you will need to create a template to ensure we make the unique-shaped cushion you need. 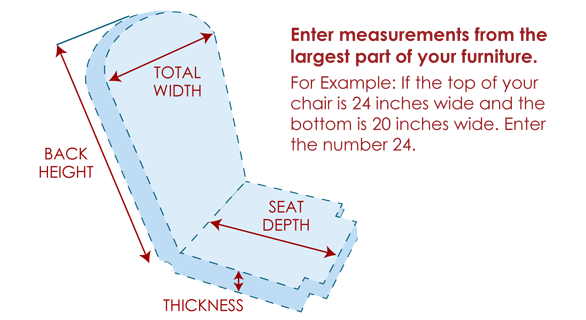 We recommend placing the template in your chair to make sure it fits properly. This will give us the opportunity to provide you with a top quality product that will exceed your expectations and enhance your living space. Measurements do not include thickness of welting.